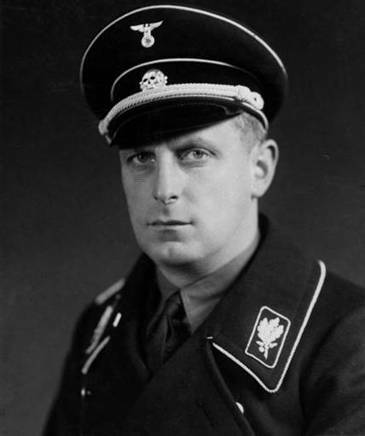 Werner Lorenz was personally recommended to Heinrich Himmler by Rudolf Hess to head up the “Germans Abroad” front as head of the Repatriation Office For Ethnic Germans, or VOMI. As such, he was personally responsible to Himmler and worked vigorously to establish a firm SS presence in all foreign relations. As leader of the VOMI, Lorenz had his own office and was responsible not only for the resettlement and "home-bringing" of ethnically German foreigners and German minorities abroad, but also for the "Germanization" of foreign children. Lorenz also worked vigorously to establish a firm SS presence in all foreign relations, often working in tandem with Foreign Minister Joachim von Ribbentrop. 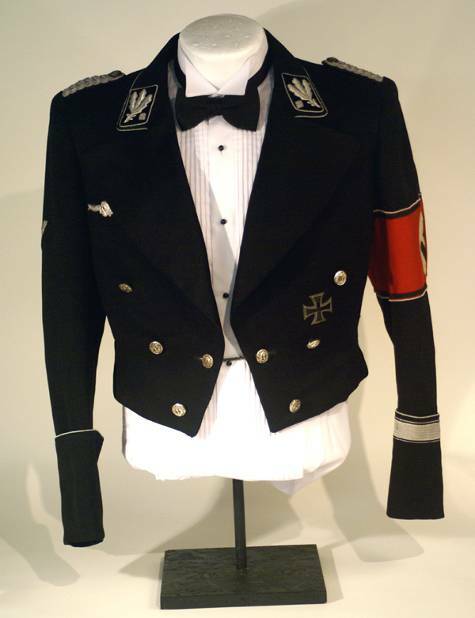 The incredibly rare evening dress jacket belonging to Lorenz that is profiled on this page is yet another example of how many rare artifacts can still be found “out of the woodwork”. 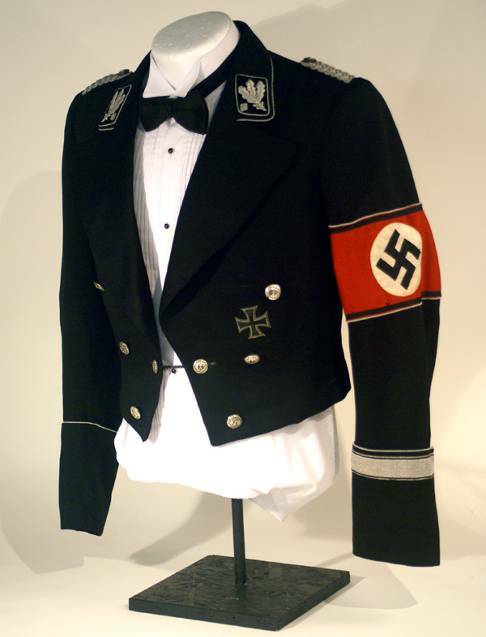 This jacket surfaced at a U.S. flea market in 2007. 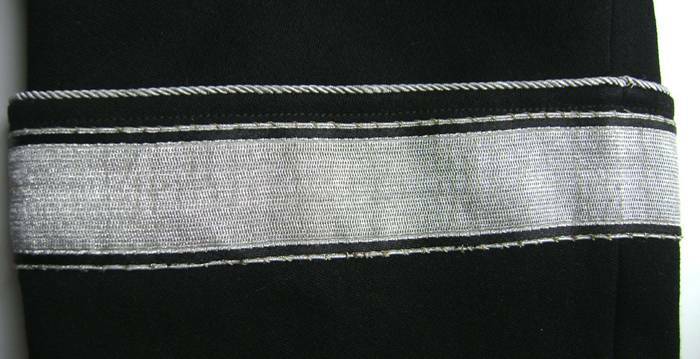 Allegemeine SS style General officer shoulderboards in aluminum cord. 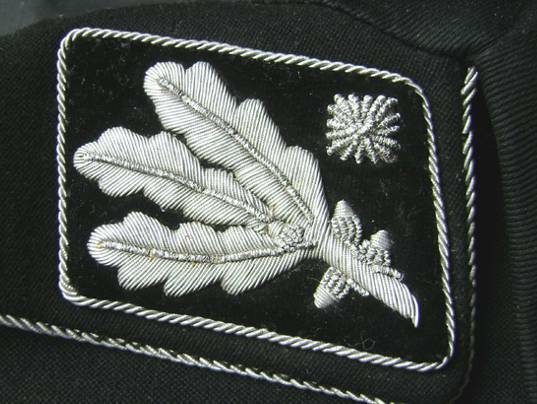 1st Pattern SS Generals collar tabs with a single pip, indicating the rank of Obergruppenfuhrer. 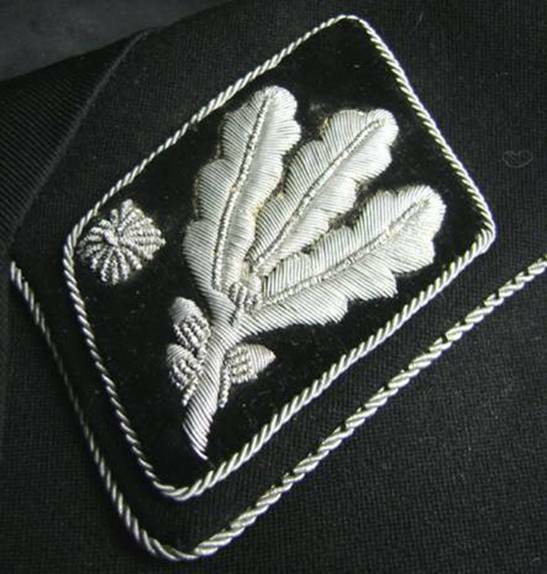 Notice the closely matching silver bullion piping that edges the collar. 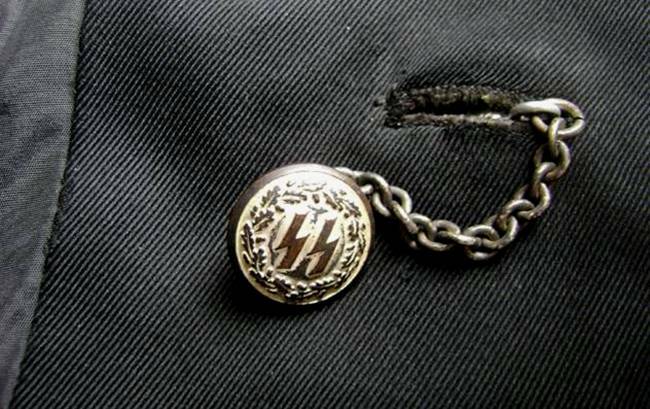 An beautiful example of the brocade fabric that makes up the very rare cufftitle worn only by the Reichsfuhrer-SS Head Office Chiefs. 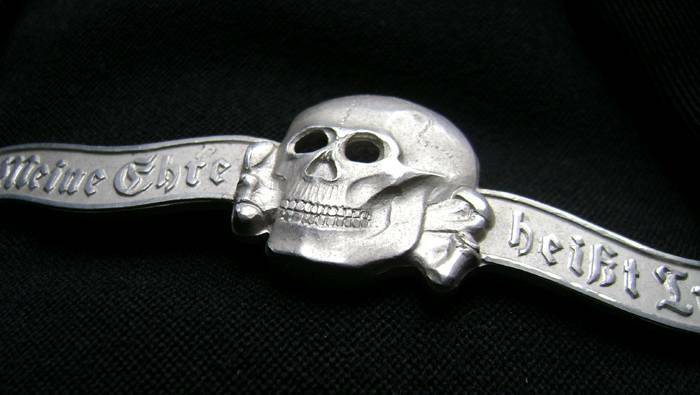 The equally very rare breast badge that was created solely for use on the formal dress jacket. Typically these have a section of red felt behind the eyes, which was missing when this jacket was found. 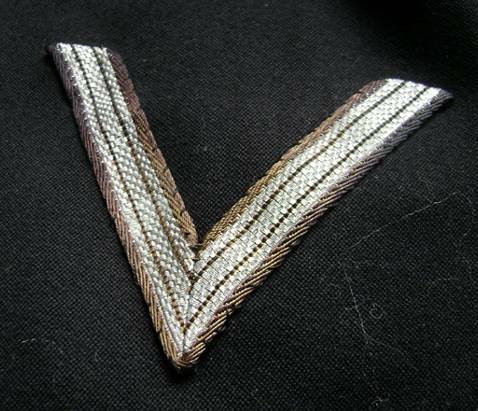 The Honor Chevron, for members who joined the SS or party prior to January of 1933. 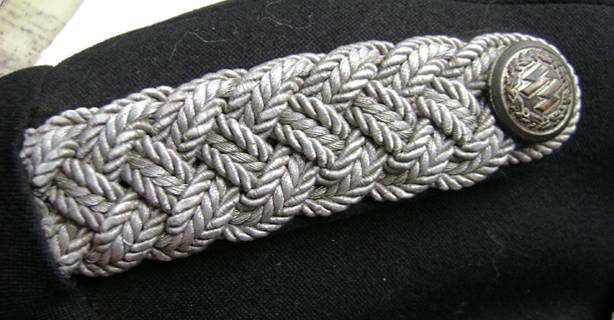 This is the closure button and chain for the front of the jacket, with a silver wash which has finely aged. 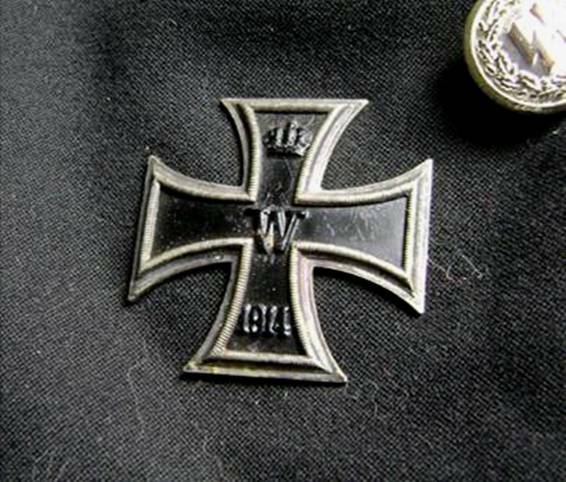 Lorenz’s original Iron Cross 1st Class, from World War I. 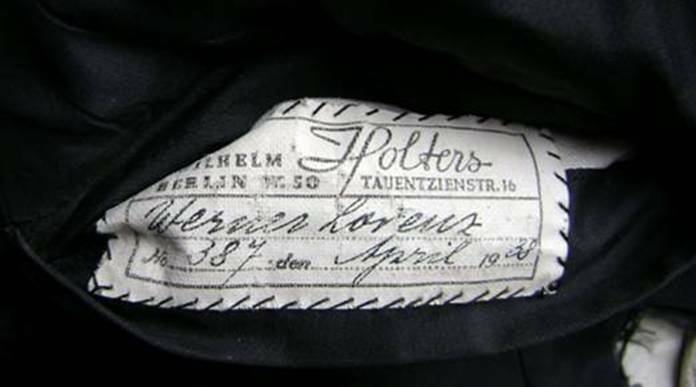 The tailors tag with Lorenz’s name inscribed, by Holters, the finest tailor in Berlin. 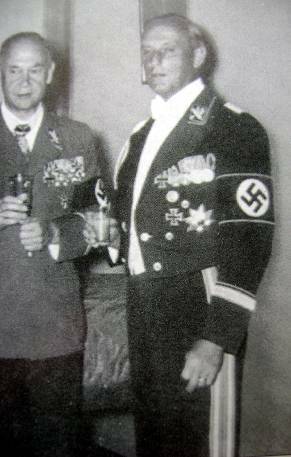 Werner Lorenz wearing the evening dress jacket.